Dimitrios Antoniou (1964) studied Architecture in NTU of Athens (1989). He holds a Master of Architecture in the Urban Landscape from University of Southern California, Los Angeles (1991) and a Master of Science in Real Estate Development and Valuation from Neapolis University Pafos (2017). He acted as a Junior Designer in Athens and Los Angeles (1983-1992) and as a Set Designer at MCA/Universal Studios Hollywood (1992 – 93). 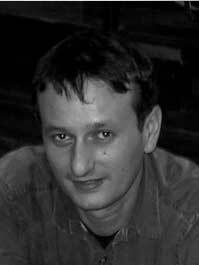 As a member of “Theros Architecture” (1994-1998) was the chief designer of a variety of projects (houses, cinemas, theaters, industrial and commercial facilities). He has been a collaborator of Kisho Kurokawa Assoc., for the building of the Embassy of Japan in Athens (2003). He won three first, two fourth prizes and four commendations in Panhellenic and European architectural competitions. He won a commendation in European Competition “Zephyr–Passive Cooling Techniques” (1994). He was a PhD candidate with scholarship. (1997). He taught as an Assistant Professor of Architectural Design and Building Technology at Dept. of Architecture, University of Patras (2000-2004, 2008-2011), Democritus University of Thrace (2005-2006) and Neapolis University Pafos (2011-2014). He has also been a Visiting Lecturer at DCG (Dept. of Architecture, Drury University, Mo., U.S.A., 2006-2007). Since 2014, he teaches as a tenured Assistant Professor at Dept. of Architecture, University of Patras. He also teaches as a Visiting Assistant Professor of Architectural Design and Building Technology at Neapolis University Pafos, Cyprus (2014-today). He has participated in thesis and project review committees at several universities, in Greece, Cyprus and U.S.A and he is a committee member of competition juries. He is supervising architectural workshops in Greece and Cyprus. His projects, articles and book contributions have been widely published. He is co-founder, with Helen Katsoufis of the private practice “ONOFFICE environmental architecture” in Athens, focusing on bioclimatic design (1998-today). He is also a Member of Do.Co.Mo.Mo., Technical Chamber of Greece, Technical Champer of Cyprus, Architectural Associations in Greece and Cyprus and Int’l Associate AIA (American Institute of Architects). He acts as a focal point for SDSN (Sustainable Development Solutions Network) a UN organization for University of Patras and Neapolis University Pafos.